The best part of exchange is making new friends. From September 22-24, 2016, I had the great opportunity to go on a school expedition to Wadi Rum. It consisted of three days and two nights of desert trekking, food tasting, and sleepless nights. 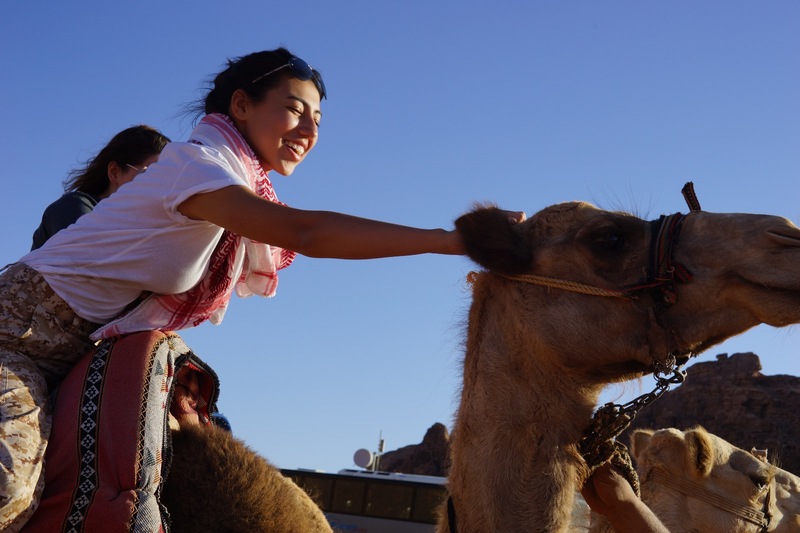 During this trip, I was able to not only form new bonds with schoolmates, but also practice Arabic - from learning how to say "I want to ride a camel" to "Please let me sleep." The first day was spent in Wadi al-Hess. The entrance was littered with wool from the recent sacrifices during Eid. The view was beautiful with red walls surrounding us as we walked through the river. 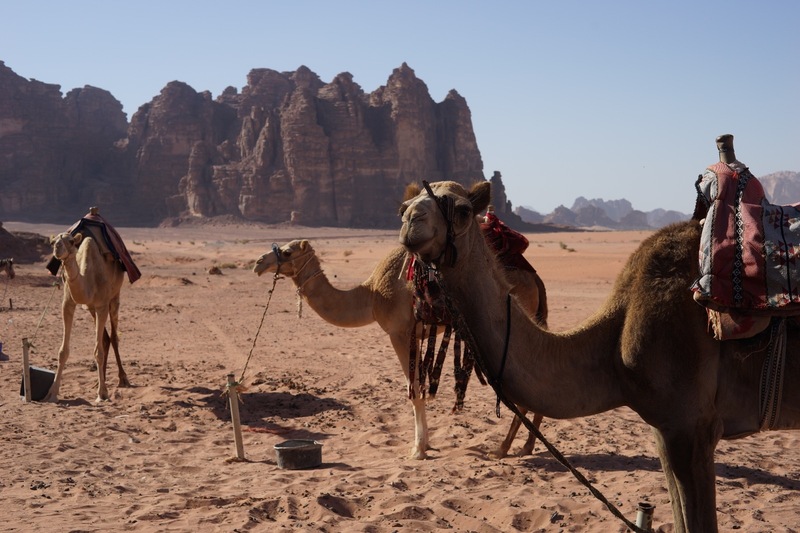 The following day we spent in Wadi Rum, a popular destination for anybody traveling in Jordan. We spent the day drinking tea made out of a small stream, and chasing goats and camels. That night we ate Zarb, which is a traditional dish consisting of meat, vegetables, and rice cooked underground for over 24 hours. I had an amazing time during this trip, learning about Jordanian culture and being able to bond with my classmates. In my opinion, the best way to have a successful year abroad is by having local friends. Not only will they be able to help you with learning the language, but they will also introduce to so many different aspects of the local culture. 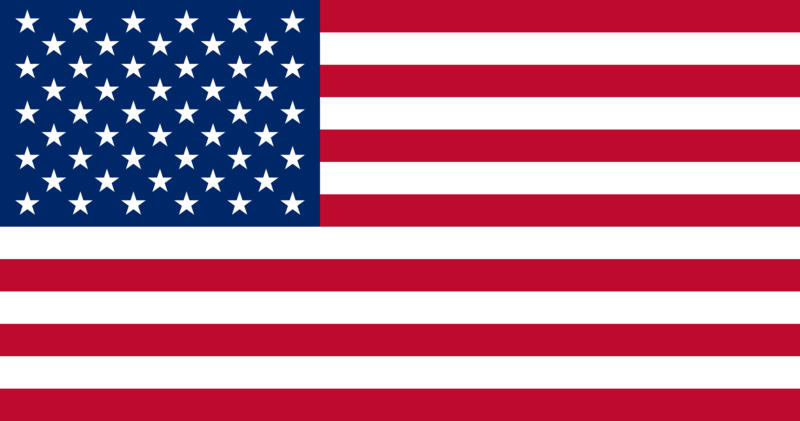 Haakon discovers flag football as a way of sharing U.S. culture. Two YES Abroad alumni were recognized for their public service leadership. YES alumna Anna works on climate change and is a guest speaker for the webinar. Have a YES Abroad Story?